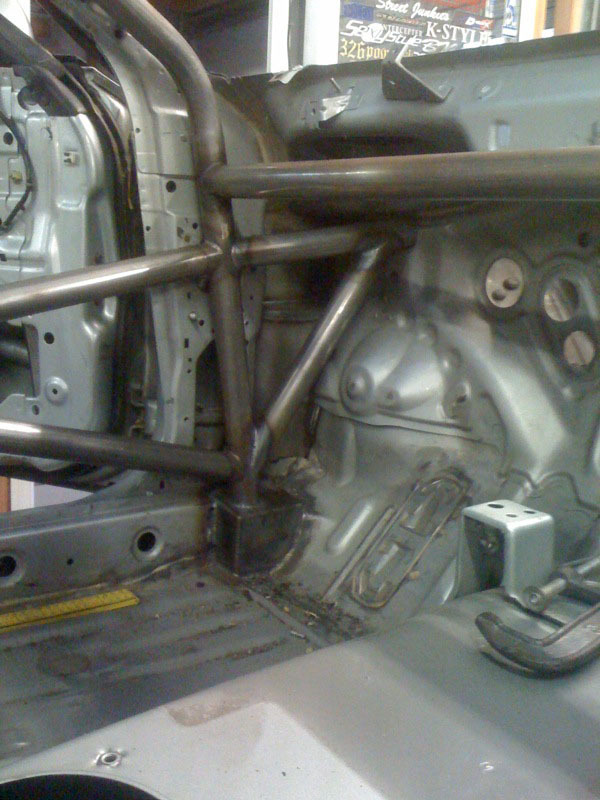 The last part of the rollcage that needed doing was the bars running through to the front strut towers. 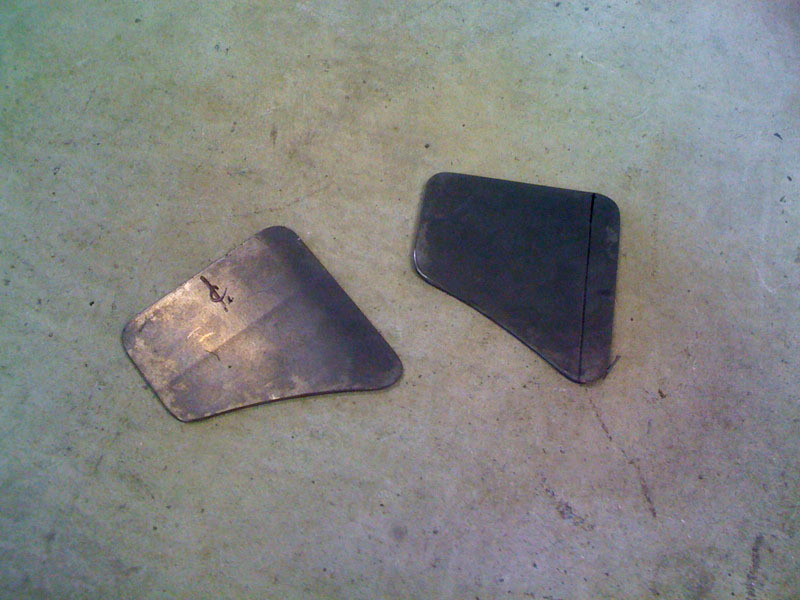 I cut out some plates to weld to the towers. 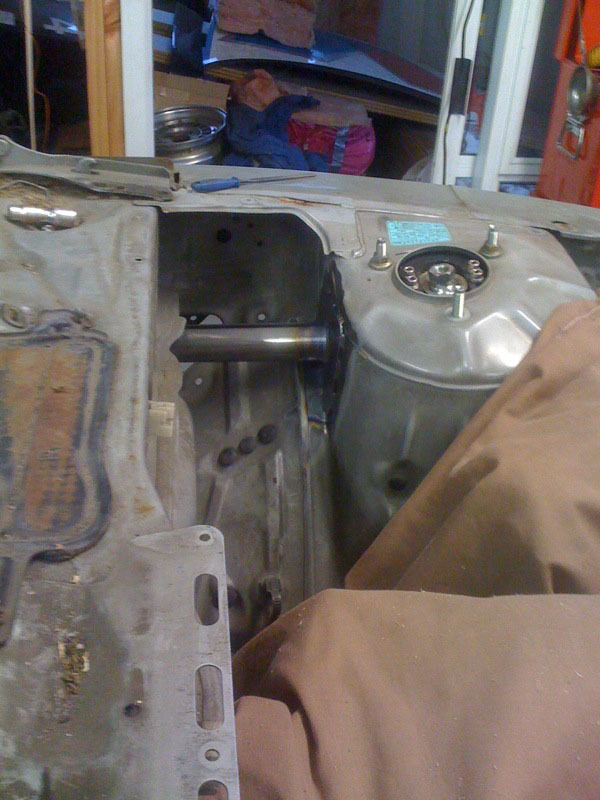 Drilled some holes through the firewall and fit the tubes And then to finish them off i welded in another short tube to add some strength. 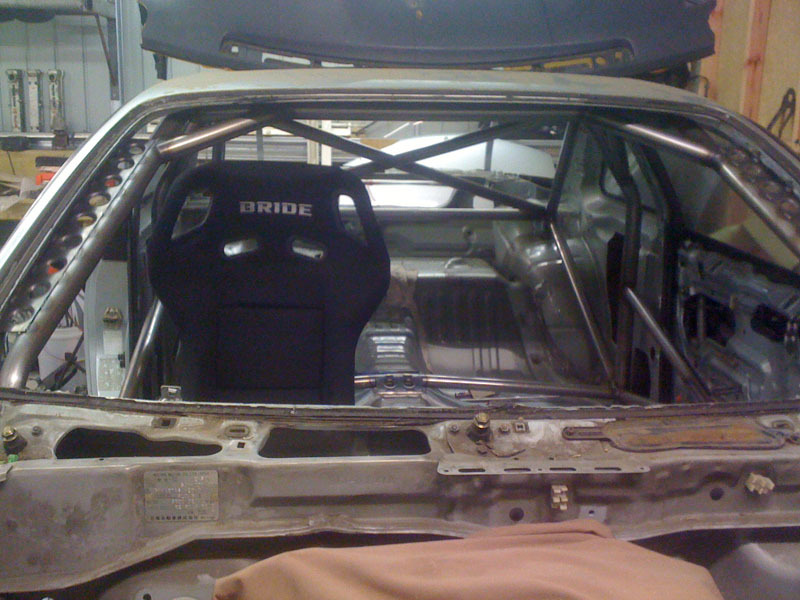 With the cage pretty much all done one of the next jobs is the seat mounts. I sat my drivers seat in the car for some motivation. Its a Bride Gardis III, Joel got it for me in japan and our old man brought it back on one of his trips. For the passenger seat I'll probably go with a zeta III in black to match. Hopefully a 2nd hand one in NZ will pop up for sale at some point. 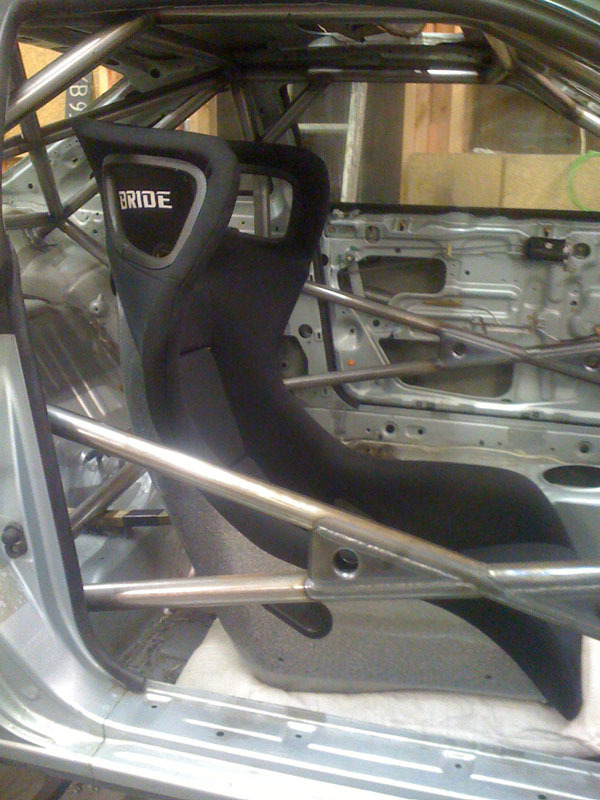 Next post i will go through how im going to mount the seats.